Used Debit Machine BANK ACCOUNT CHANGED Used pos kijji Craigslist classified does not work A Customer asked “found a used pos for sale on kijji, would that work?” The answer is no. It has in it “the other” person’s banking info. That info is protected by the bank. 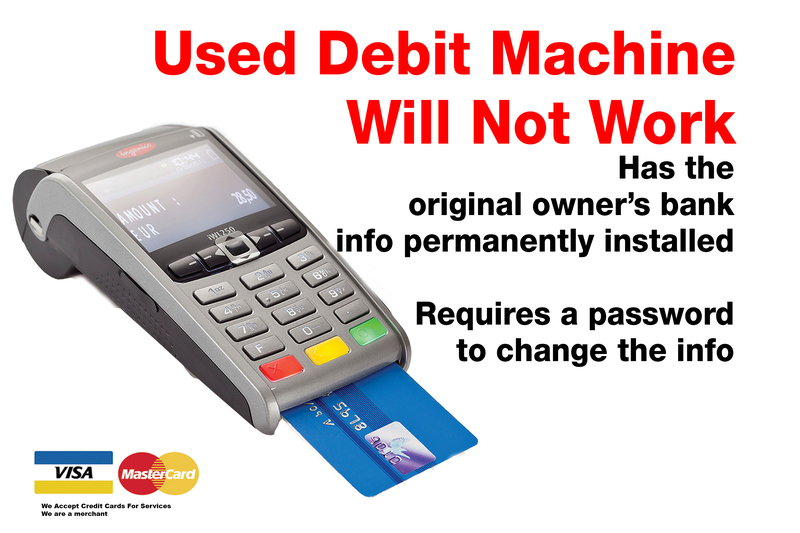 A Customer asked “that cannot be re-programmed?” Only by the bank who installed it.